29.11.2018 - Stephan von Gündell-Krohne is DACH Sales Director at ForeScout Technologies and is responsible for ensuring that technical integration and networking do not disrupt operational processes. Security in the context of new IT concepts plays a decisive role for him. On the online portal Searchsecurity.de he explains why security is so important and why it still falls by the wayside in many places. He has some ideas on how to overcome the fact that security does not become a brake on innovation. In the following articles we summarize his thoughts. Stephan von Gündell-Krohne works according to the principle that networked devices must not interfere with operational processes. Due to the challenge of networking, security concepts must be devised and applied in parallel, says the Sales Director of ForeScout Technologies. The markets are becoming more dynamic, the innovations in the field of IT are constantly changing. Stephan von Gündell-Krohne repeatedly sees that the topic of security is neglected, although in his opinion security does not have to restrict innovations and developments. In Germany, a wide variety of companies from all industries are faced with the challenge of using new digital technologies properly. Everything is becoming smarter and smarter in order to remain competitive. The virtual control of processes is already part of everyday life in many areas, especially in industry and the automotive sector. The Internet of Things has become reality. However, anyone who has to make decisions about digitalization must weigh up the opportunities and risks carefully, because there are an unbelievable number of ways to implement these issues. At the same time, the developments in the market are sometimes too rapid to keep pace. 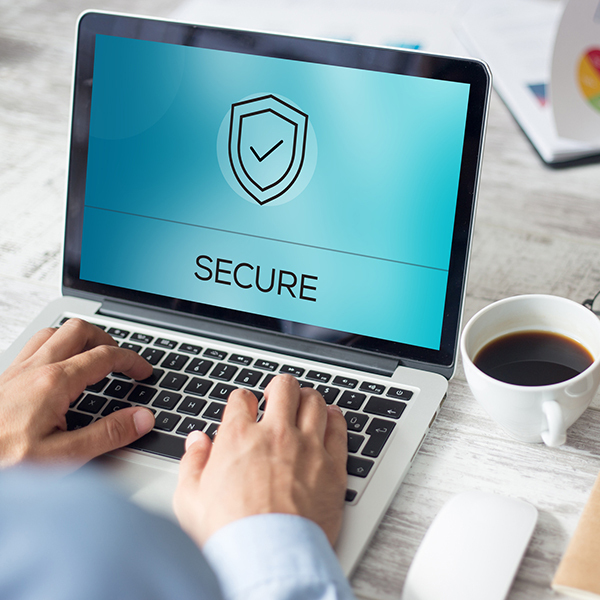 In addition to the risk of investing in the "wrong" technology, there are also security risks that need to be considered. It is not uncommon for companies to want to take advantage of new technologies immediately and not be sufficiently familiar with the security issues that arise at the same time. This year, the BSI has once again published a report on the state of security in IT, expressly warning of the risks associated with smart technologies. From the smart home to the smart building, all sectors are affected - digitization is virtually a product or industry. Cyber attacks have become part of everyday life, partly because many technologies are simply not sufficiently equipped with protection mechanisms when they come onto the market. Customers often opt for comfort that outweighs security. According to BSI, large losses can occur, not only in the own company, but also towards third parties. Many companies are now very positive about the IoT and Industry 4.0, no one wants to be left behind. However, an international survey by Forrester has shown that the topic is not only viewed more positively, but also more carelessly. In Germany, only 45% of decision-makers are sufficiently concerned about IT security. This is significantly less than in other countries. In a global comparison, the figure was 77%. These concerns do not always, but often, lead to rethinking innovations and new smart technologies. The main reasons for this worldwide, as in Germany, were the costs of adequate security concepts. Another reason for deciding against smart technologies is that people are afraid that everyday processes will no longer function smoothly and that day-to-day business will suffer as a result. Irrespective of whether the innovation is ultimately introduced or fails to materialize due to security concerns: Every company takes a risk with every decision it makes. Stephan von Gündell-Krohne wants to make it clear that safety and productivity can go hand in hand. They even have to if a company wants to be successful. One priority is the smooth running of processes in the company. Another is security. There are new IT concepts that allow the integration of all devices into the smart environment and there are programs that can manage everything in a secure environment. Industry also likes to work with isolated solutions for certain areas in order to be more secure against cyber attacks. The solution has to be found at the network level, transparency and access control play decisive roles. All devices - also on possible sublevels - must be considered in the concept. There are technologies that work without exchanging certificates and allow all devices that connect to the system to be checked. Network analysis tools communicate with routers and other devices and exchange information and access restrictions. The possibilities are manifold, although not for nothing. Like Stephan von Gündell-Krohne, the BSI would like to see cyber security as a guarantee rather than a brake on innovation. With the right means and programs, this is also quite possible. Stephan von Gündell-Krohne emphasizes that it is extremely important to always combine the IT level with the process management level. Decision-makers must be aware that a simple firewall and a virus scanner are no longer sufficient to protect the company. The possibilities are there, they just have to be used. Ultimately, the risk of oversleeping digitization and being left behind is higher than the fear of the IT security challenge.